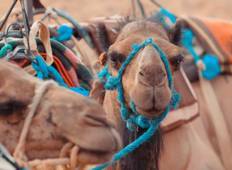 Discover cultural tours in West Africa in March 2020, visiting places like Marrakesh and Fes. Book now and save with TourRadar.com! "A knowledgeable and engaging guide"
"Amazing tour! Issam was the best guide! I can’t wait to return to the beautiful..."
"It was a great experience. Our guide and driver has taken a good care of us. I have..."
"Phenomenal experience transportation excellent, food delicious, Mustapha our tour..."
"It was a great tour with some great people and a great guide. Such a diverse country..."
"oh my gosh! 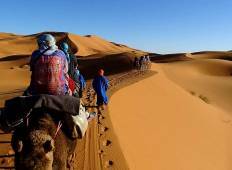 Road to Casablanca was the most amazing adventure so far in my life...."
"The guide went beyond the call of duty to show us a fantastic time." "It’s hard to rate the food and accommodations in one rating since they varied so..."
"Great trip- will detail review directly into Peregrine's site"
"This was my first tour with TopDeck, and I must say that I was absolutely impressed..."
"The tour was a very busy one so we got to see a variety of unique locations in Morocco..."
"A wonderful trip with many highlights. A difficult country to travel solo, but it..."